It would be extremely churlish of me if I didn’t mention how much I loved the weather this summer. 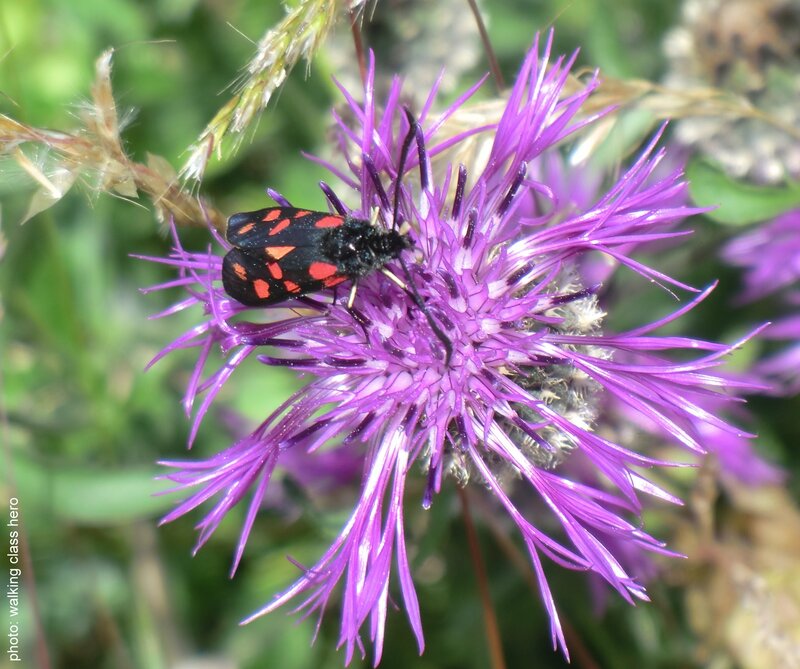 Especially as a brief look back at past summer posts finds me moaning and whining about the rain and mud that has characterised the last few years. Especially as I’ve the loved the fact that the walking this summer has been all about shorts, sandals, sunnies and spf50. Especially as our summers are often all too brief, or as Shakespeare put it: ‘And summer’s lease hath all too short a date’. 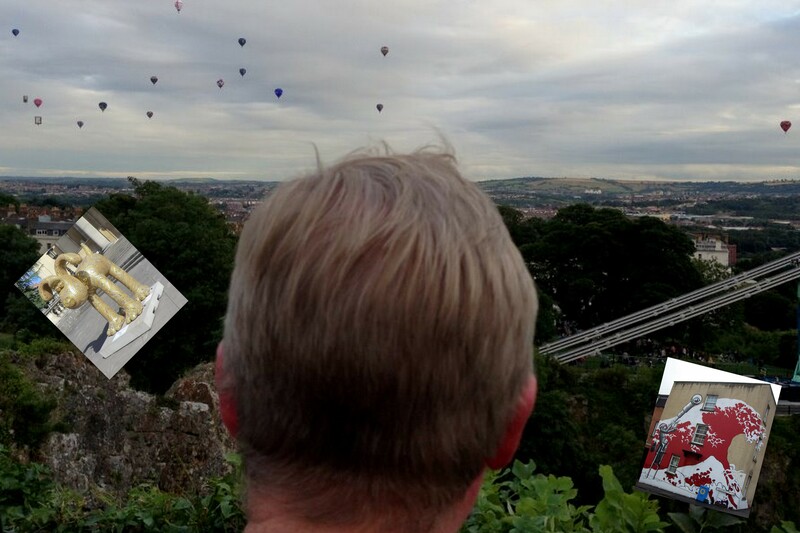 A trip to Bristol to experience the Bristol International Balloon Fiesta also provided the chance for a walk round the nearby Bath skyline as well as a stroll along the Bristol Channel. (On a tangential note, am I the only one to find the increased use of fiesta as opposed to festival intriguing? I’d always associated festival with gala and fiesta with feast and consequently seen the former as community based and the latter having religious overtones. But that might just be me.) Gromit was also ‘unleashed’ all over Bristol for the summer season and 80 Gromits to track down along with the ever present but often changing excellent street art made Bristol a great place for some summer urban walking. It probably says a lot about me but I’ve always scornfully regarded Bath as the epitome of genteel. All that buttery coloured Georgian architecture on top of its Royal Charter and swanky Latin name – Aquae Sulis – not to mention its Jane Austen connections put it firmly in the top half of the premier league of quaint. So it was a bit of a surprise to encounter a rather large demonstration complaining about the closure of many of the town’s public loos. Good for the well heeled (and well groomed) citizens of Bath who had bothered to give up their time to wave placards and shout slogans I say. We could do with a bit more civic unrest against the ‘cuts’ if you ask me – especially needless ones like these born out of self serving gesture politics. I signed their petition, it was the least I could do, and you can too if you click on the link here. 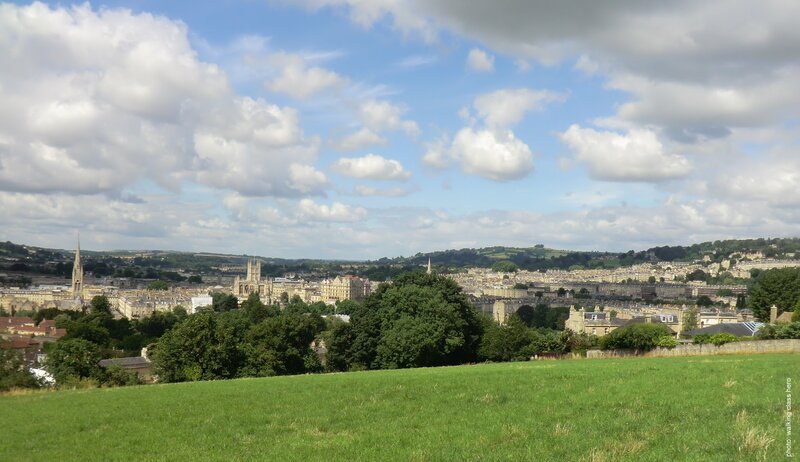 I understand that the Bath Skyline is the most popular walk on the National Trust visit list and that’s pretty understandable because it’s an easily accessible walk with great views and is well sign posted. (And we met a couple of extremely cheerful and helpful volunteers on the way round.) I don’t even mind that there are quite a few signs, placed on National Trust property, asking ‘if you like the walk to donate some money’. I reckon that sort of financial ask is entirely appropriate. In fact if you want to financially help an organisation that protects and preserves footpaths along with so much more you can donate online to the Ramblers here. What I do wish though, is that the National Trust started to dedicate some of the hundreds of miles of permissive paths that they have on their numerous properties as rights of way. Then these paths would not only appear on Ordnance Survey maps they’d also be there for everybody to use forever. Furthermore this would in no way undermine the integrity of their walks database as they could still suggest you visit there attractions. It’s been a summer for being by the seaside which highlights even more how great it would be if we had an English Coast Path. Scotland has far superior access rights and Wales has an 807 mile path round its coastline. Yet despite a pledge to set aside a corridor of land around the 2,800 mile English coast within a decade becoming law in 2009 barely 20 miles has been completed in the time it took Wales to complete theirs. Even the most optimistic estimates see only 40% completed by 2019. I don’t mean to suggest we only have access to 20 miles of the English coast but the current arrangement is far from satisfactory when you examine how much of this access is voluntary or permissive and even small gaps can lead to lengthy and unpleasant detours. 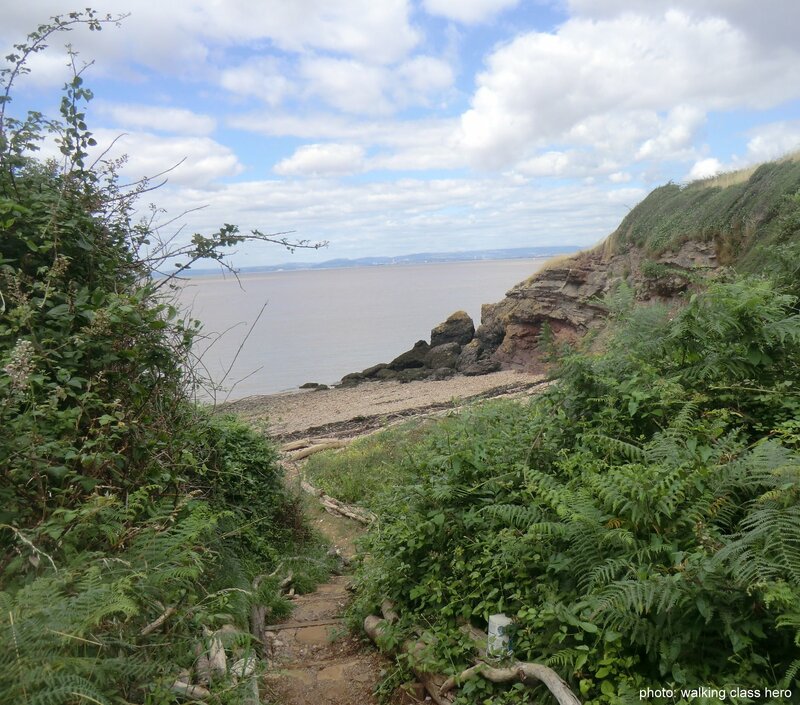 To emphasise this point as well as enjoy a relaxing coastal walk in the sun me and Clare (@innerlondonramb) decided to walk from Clevedon to Portishead. We also amused ourselves along the way by naming pop music acts – without the aid of google – named after UK towns. Or just those with UK towns in their names. like Portishead, Easterhouse, Dionne Warwick, Michael Bolton, Belinda Carlisle, Eric Clapton… Anyway you get the idea – feel free to suggest your own by adding them in the comment box below. It was a perfect day for a walk by the sea. Sublime sensory grammar surrounded – a hint of ozone on the breeze, azure skies, cotton wool clouds, soft sand underfoot, butterflies tumbling from plant to plant and the cadenced cries of gulls wheeling above our heads. After 8 or so miles the coast path peters out at Portishead. If you wanted to pick it up again past Avonmouth you need to detour over 5 miles inland and then cross the M5 a couple of times for pity’s sake. Like Clevedon, Portishead gets a mention in the Domesday Book but there any similarity ends. Thriving docks were built in the early 19th century followed by chemical works and power stations in the 20th. All are decommissioned now, replaced by a marina bordered by colourful shiny apartment blocks and houses. It’s actually a very pleasing and sympathetic development, although it’s funny to think many of the homes have been built on the dumping ground for the industrial waste, now quaintly named Portbury Ashlands. Easily visible across the channel, just sitting there gloating, is the Welsh coast. Here you can stick to the coast and by all accounts it’s hard to find a single person who doesn’t think their coastal path is the best thing since sliced bread. Sigh. The ice creams in Portishead, welcome as they were, offered scant consolation. You can read more about the Ramblers Case for Coast here. If you have not already done so please sign the One Coast For All petition.